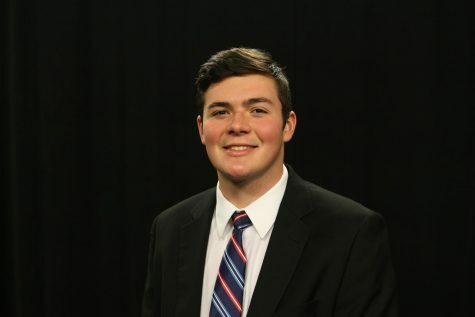 MOON TOWNSHIP — ESPN made possibly the biggest mistake it could have before the NCAA Women’s Basketball Selection show on Monday evening. About three hours before the network’s scheduled selection show broadcast. The so-called “Worldwide leader in sports” accidentally posted the Women’s NCAA tournament bracket during the coverage of the Men’s NCAA tournament. Word quickly spread and by the time of many team’s watch parties, they already knew their destination for the tournament. 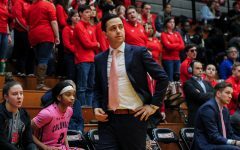 The Robert Morris Colonials, having won both the regular season and conference tournament titles, were one of the team’s who knew their fate hours before the celebration was even set to begin. 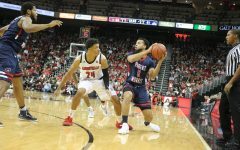 To the surprise of many, RMU drew the University of Louisville as their first round match up instead of the University of Connecticut as predicted by many. But for the Colonials, despite the spoiled surprise, the energy was still high, and the team was eager for their Friday afternoon showdown with the Cardinals in the Derby City. Coach Buscaglia’s sentiment is one that seems to be resonating with his team. Freshman Esther Castedo gets ready for her first NCAA tournament and no matter the circumstances is excited for the moment. And while most of the team heard of the results as soon as they were accidentally released, junior center Nneka Ezeigbo did not hear of the results until she was on the bus to the watch party. When the moment finally came as the official selection show began at 7 P.M., the Colonials heard their name called as they celebrated the moment and reflected on how far they came to this point. The team enjoyed a great meal with all of the staff and members of the band. Cake was cut and passed around as the moment still served its purpose as a celebration of RMU’s incredible accomplishments as a team made up of 70% underclassmen who beat the odds to dominate the Northeast Conference and reach their fourth NCAA tournament in the past six years. As officially announced on ESPN, the Colonials will face the Louisville Cardinals Friday, March 21 at 12 p.m. The game will air on ESPN2.